Report on Rotary Global Grants. 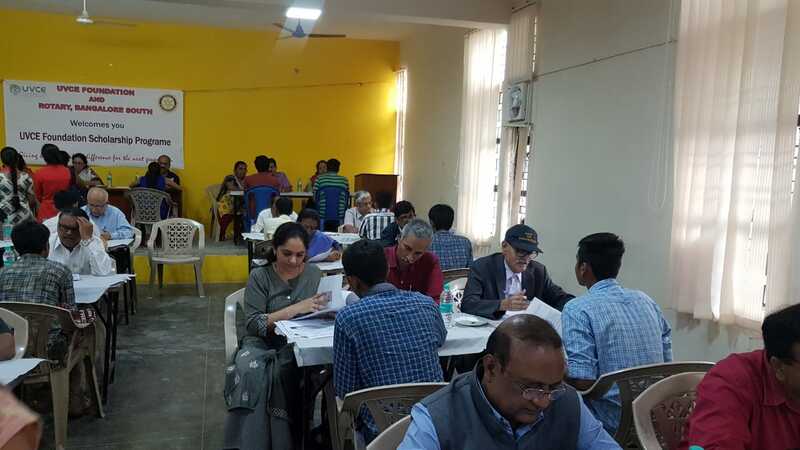 Rotary Bangalore South is conducting State level chess competition for Rotarians, Anns, Annets, Rotaractors and Interactors on age and gender category. 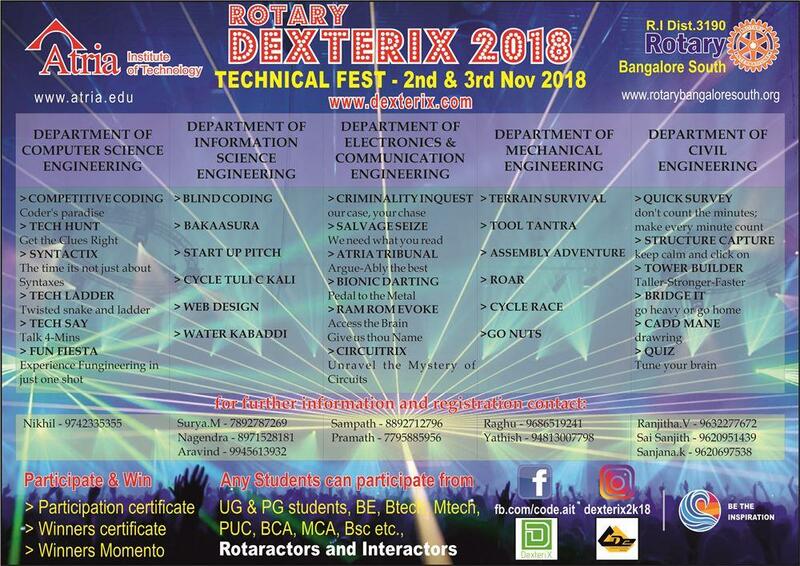 We are conducting this competition since four years, more than 300-400 brilliant participants are participating and enjoying this event. 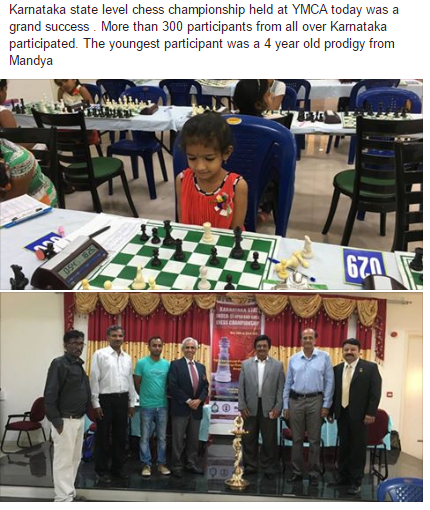 This event jointly conducted with Chess Shoot academy and United Karnataka Chess Association. 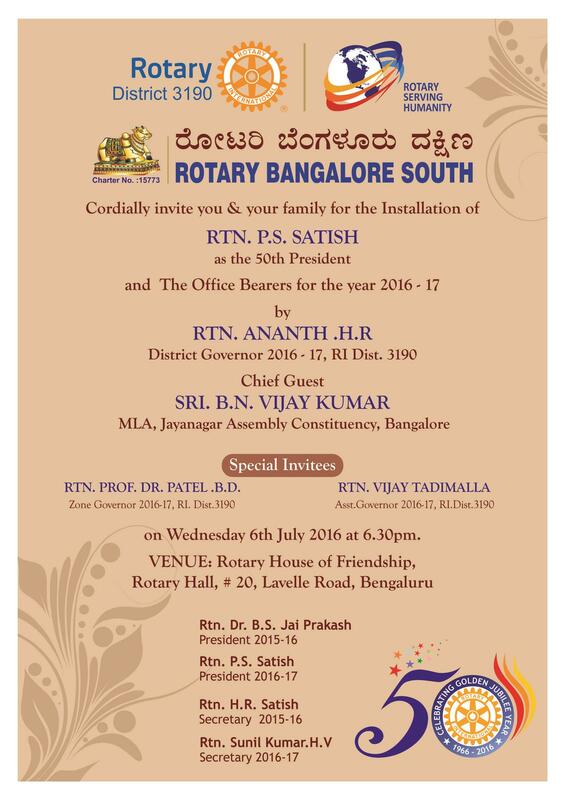 This is the first time we are conducting for Rotary Family for the District 3190. The participants will get into the Ranking system along with winners, runners trophy. 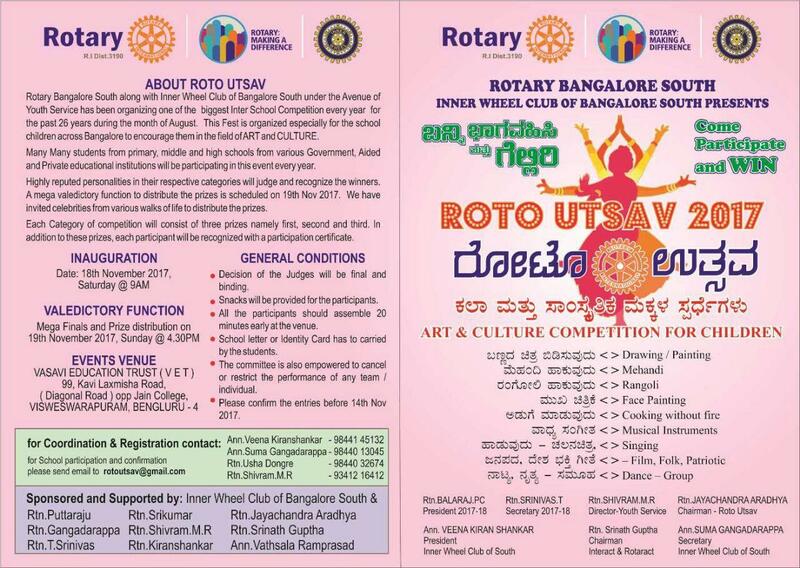 Even other Rotary District can participate. *Entry Fee:* which you can pay at venue. 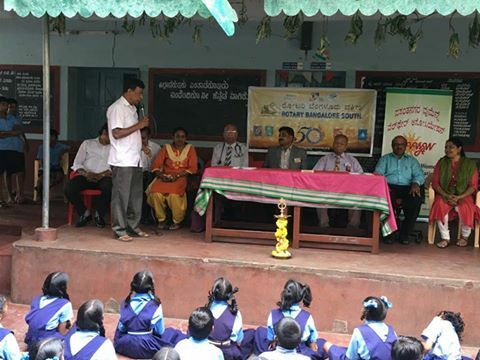 Moog Controls India as part of CSR activity in association with IEEE and Rotary Bangalore South initiated solar-powered portable projector-based e-learning units to 25 Government and Aided High Schools in Bangalore Rural Districts. Audiovisual lessons as per Karnataka State Syllabus for Mathematics and Science is provided with the units. 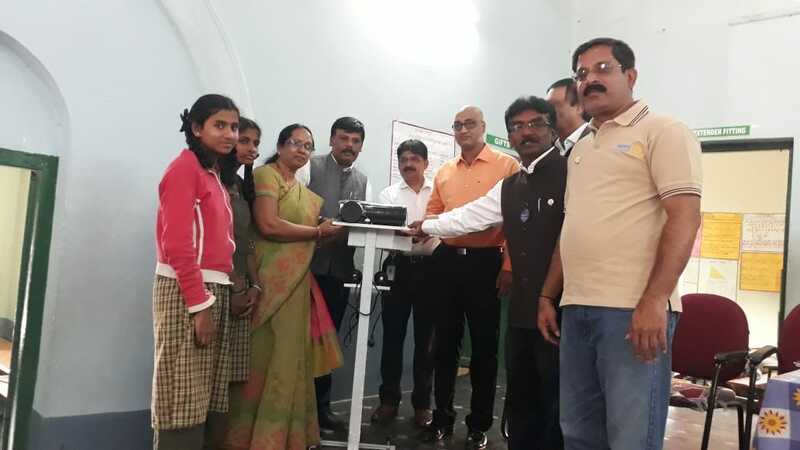 Further, as the projector is Android-enabled, teachers can access Internet on the projector to show relevant Youtube videos and other online content relating to Social Studies, Hindi, Kannada and English subjects. Teachers can also attach pen drives to laptops that connects to the projector to show lessons developed by them or provided by the Education Department. 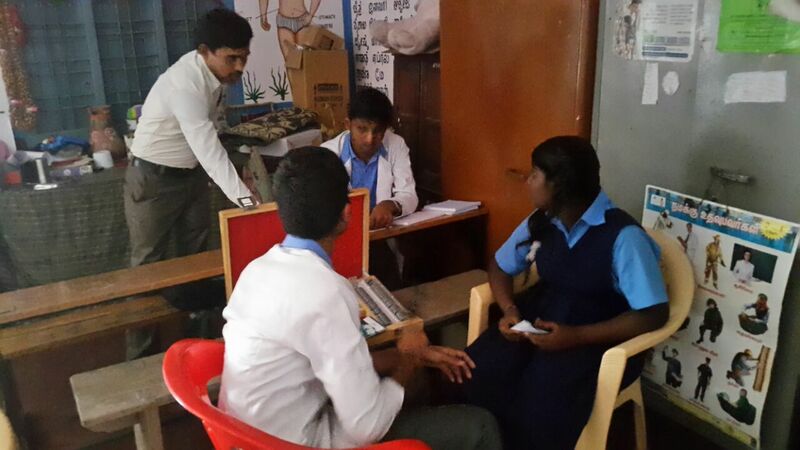 In addition each school has been given a video surveillance system and physical infrastructure such as desks. 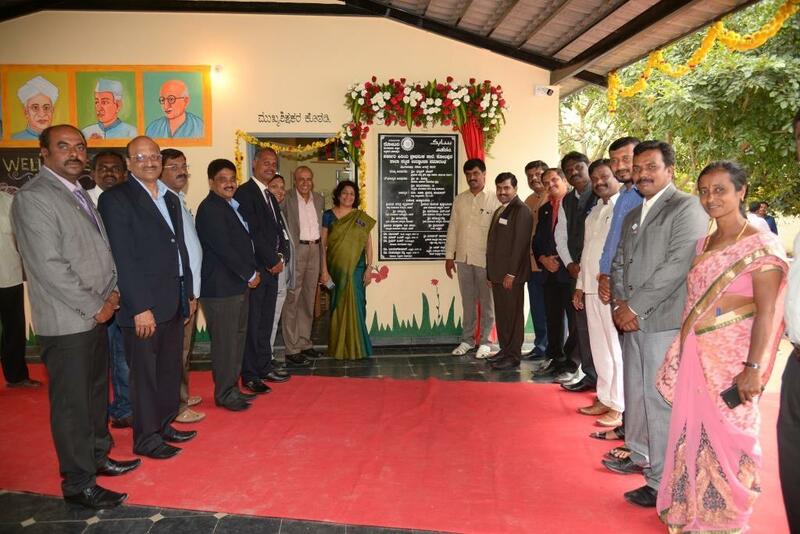 This initial project has covered 5 government schools in Anekal Taluk in Bengaluru rural district. The target is to complete 20 more schools in the near future. 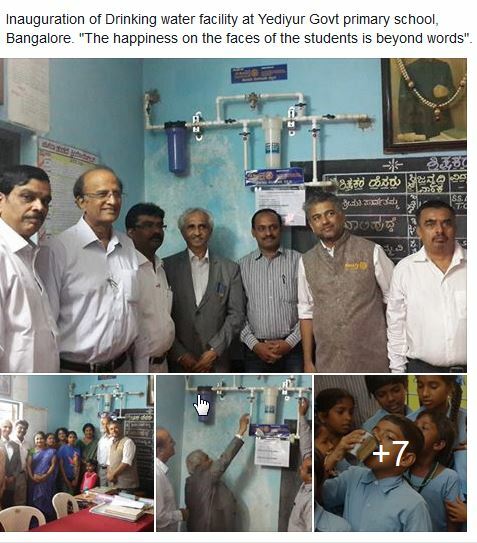 Mr Venkates, Director Moog Controls, Mr Harish from IEEE , and other dignitories from Moog Control, IEEE and Rotary Bangalore South graced the occasion. 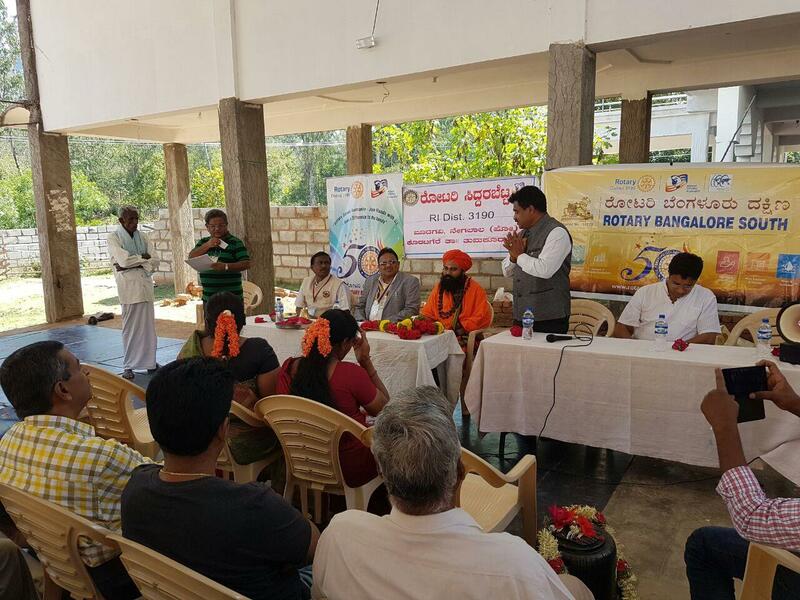 On the 26th Dec 2015 a fund raiser program “Udàn” was organized by Rotary Bangalore South in association with BIT American Alumni Association, BIT staff and Rotary Westlake Village at Kuvempu Kalakshetra, KIMS-BIT campus. Two annettes from Rotary Westlake Village, CA, USA had collected funds from rotary clubs in US to provide water filters to rural schools in India. On 26th they gave a dance performance to raise more funds for their favorite charity and to raise funds for scholarships for engineering students. 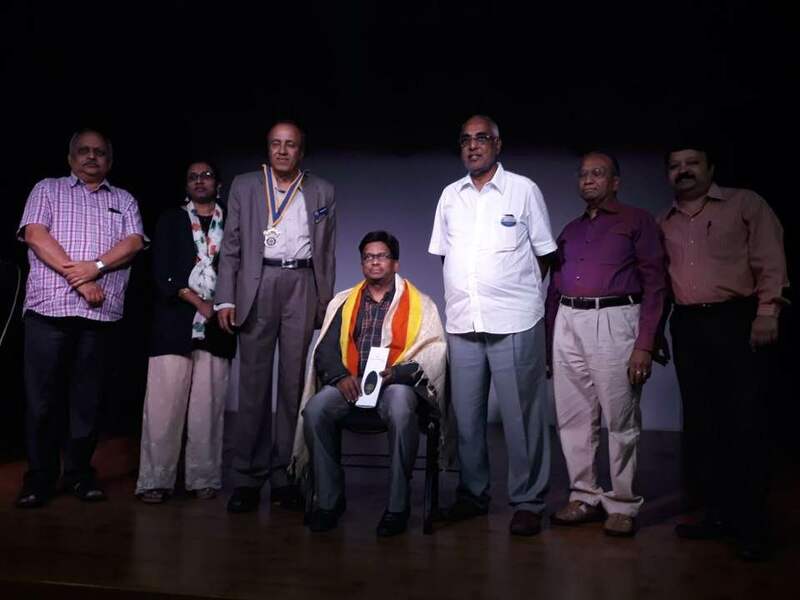 Apart from President and Secretary of Rotary Bangalore South, the dais was graced by Dr. Nataraj, Principal of BIT, Mr. Sadashiva Reddy, President of BIT Alumni Association, Rtn, T. Srinivas, Chairman of Scholarship Committee, Rtn. M.R. 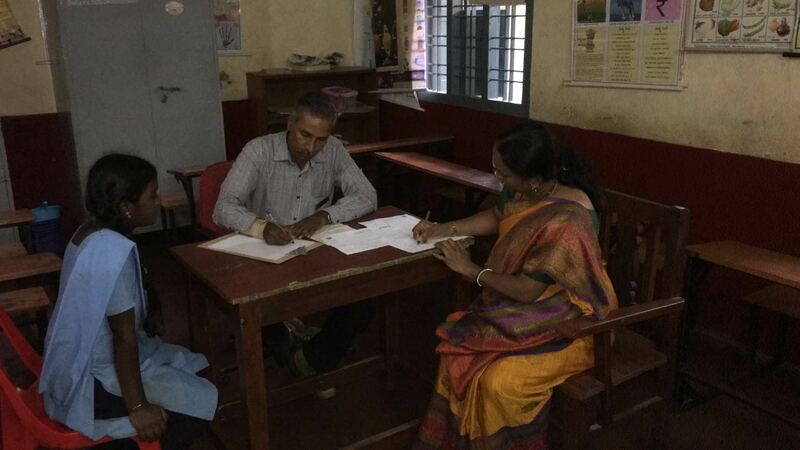 Shivaram, Director of Community Service, Rtn. Poornima Prasad and Mr. Subir Prasad of Rotary Westlake Village. President of RBS, Rtn. 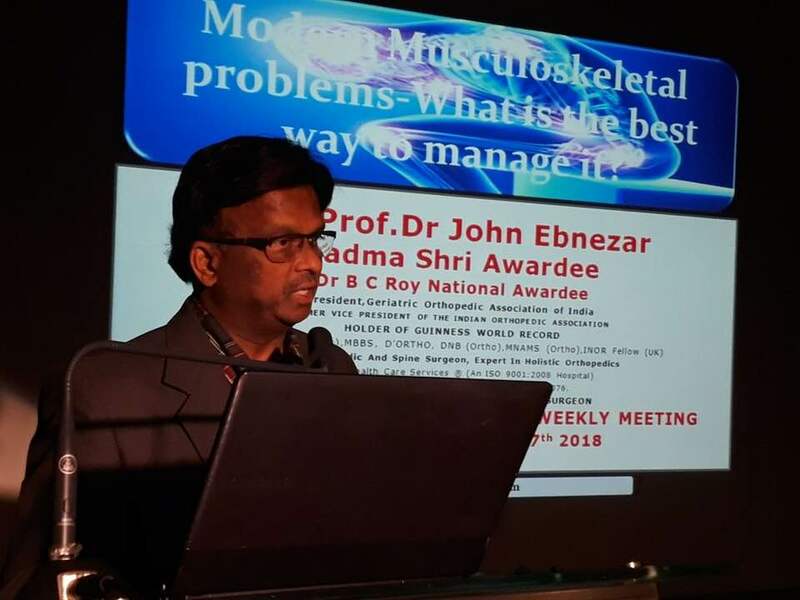 Dr. Jaiprakash welcomed the gathering and gave a brief background of the day's event. 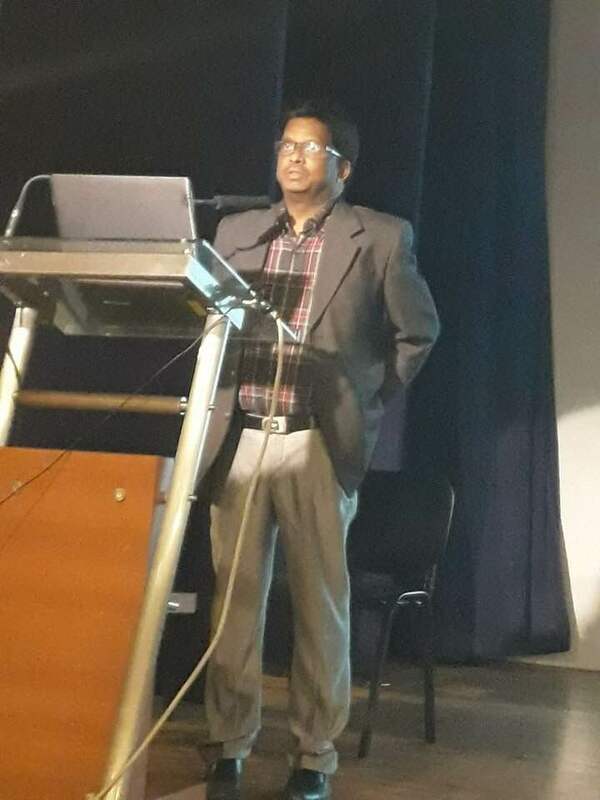 Mr. Subir Prasad spoke about the contributions made by BIT alumni in US and Rtn. Poornima Prasad briefed about how the girls raised funds for water filters. A scintillating Bharatnatyam dance was performed by interactor sisters Anya and Amiya. After the performance, symbolically, 10 school children were handed over the water filters. Flags of Rotary Bangalore South and Westlake Village Rotary clubs were exchanged between the two. 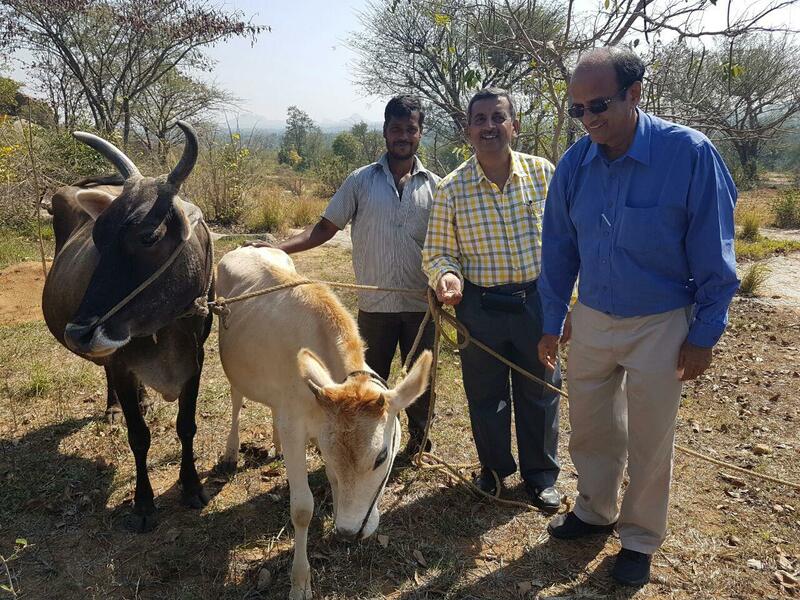 Mr. Chandrakanth, Subir Prasad, Rtn. Jai Prakash , Rnt. 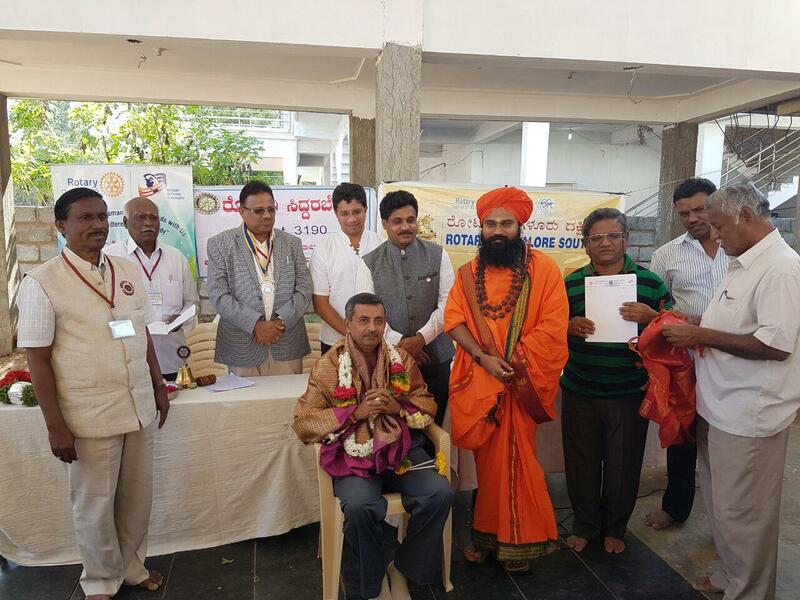 M. R. Shivram and other major donors for the scholarship fund were felicitated. 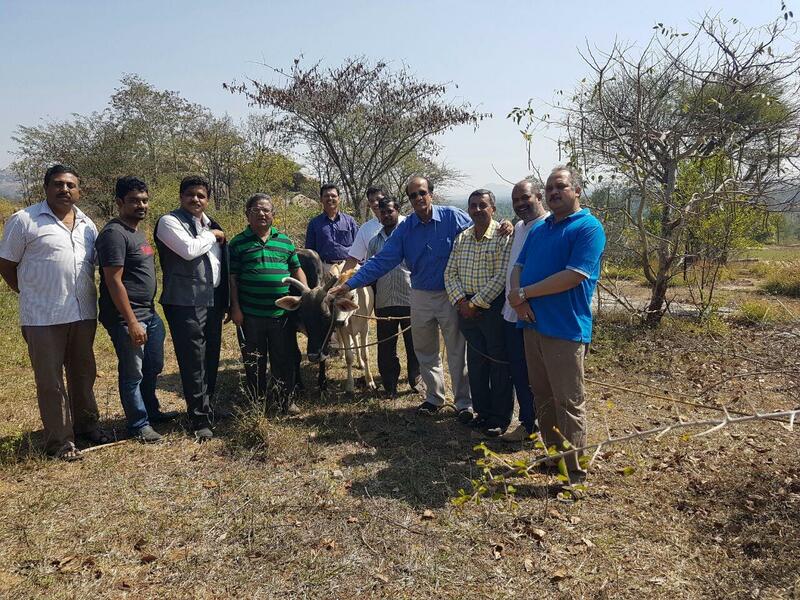 President acknowledged the efforts of BIT staff, Rotarians and the several others. There were nearly 350 people- BIT alumni, students, volunteers, family and friends who witnessed the program. Let us cheer to the fact that around Rs. 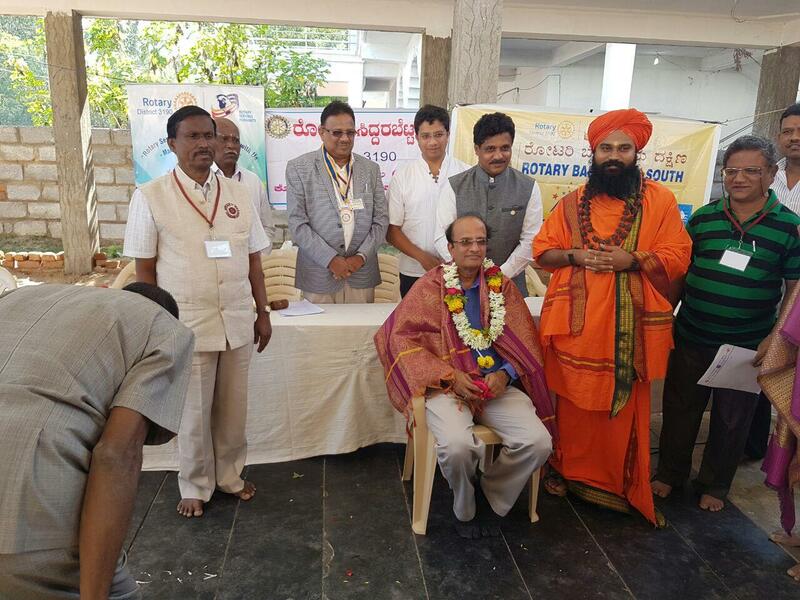 12 Lakhs has been collected for ROTARY BANGALORE SOUTH-BITAAA scholarship and USD 1,750 for water filter program. 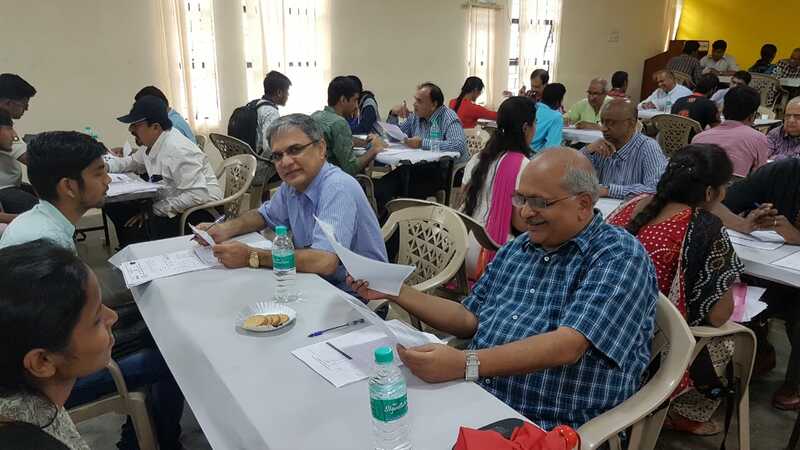 On 6th October 2018,Saturday, Rotary Bangalore South members met at UVCE to screen 365 applications for UVCE scholarship for the year 2018-19. A cheque for $ 50,000 was handed over to BSRT on this occasion by UVCE -American Alumni Association (UVCEAAA). 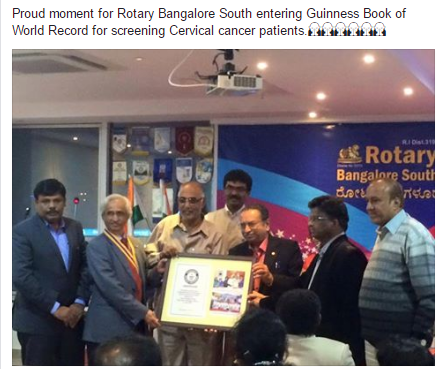 Congratulations to Rotary Bangalore South. 7 Th April 2018. Saturday, Weekend program. All the RBS members with families watch a popular and Good Movie- ‘ tagaru” at Santhosh Theater, Enjoy a nice Dinner at the theatre corridor.- Totally Free; Donations towards community service welcome. 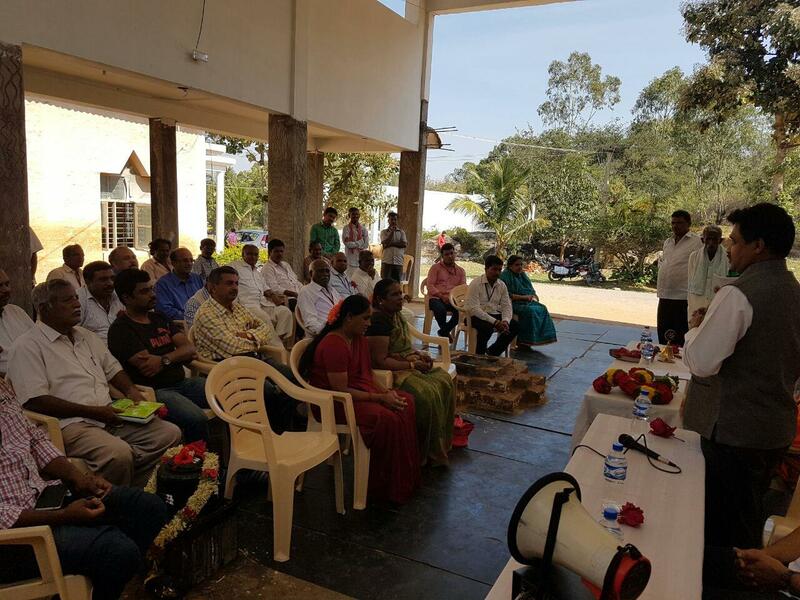 42ndt meeting 18.04.2018. speaker meet at Jain heights, solus. Details will be circulated later. 2. Welcome Address by Rtn. 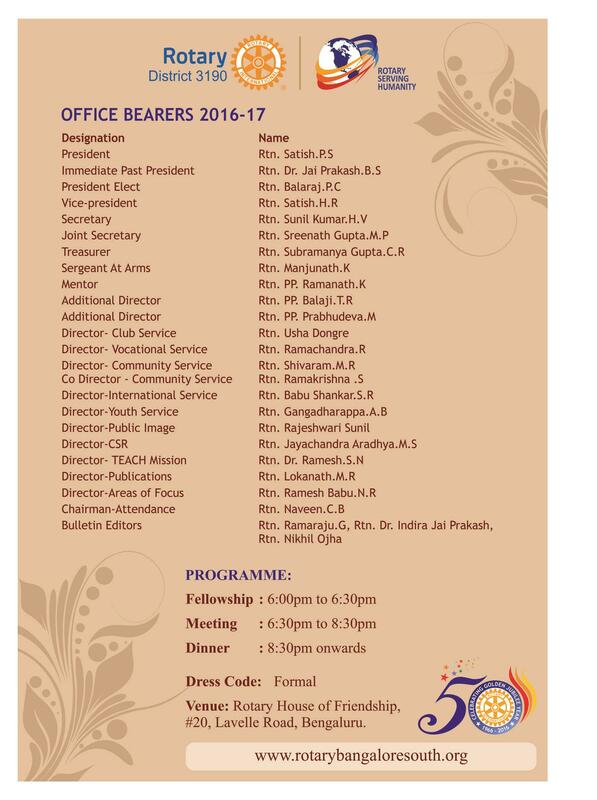 P. C. Balaraj, President. 3. 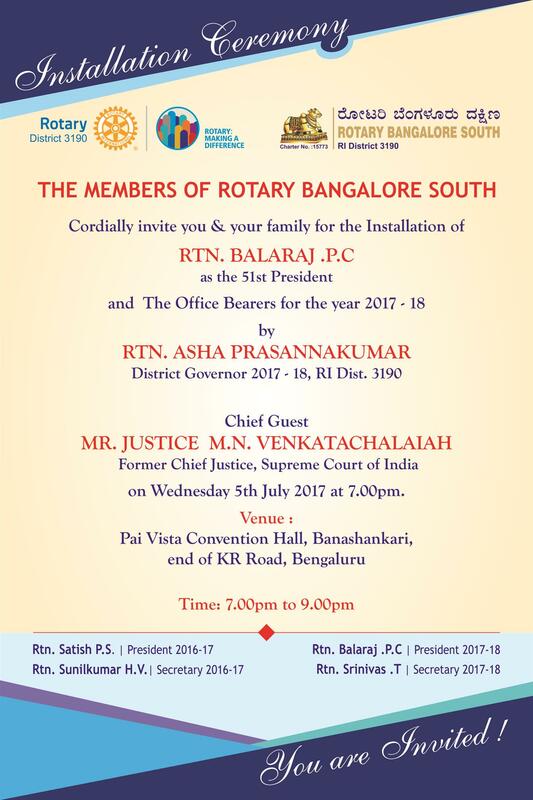 Introduction of Speaker Rtn. S.Srinivas, by………. 5. Talk byPP Rtn. S. Srinivas- sub; Sanskrit Swaarasya. 6 Announcements Vote of Thanks by Rtn. 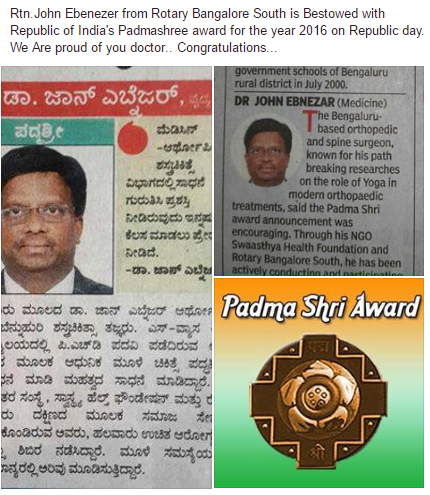 T.SRINIVAS, Secretary , R.B.S. 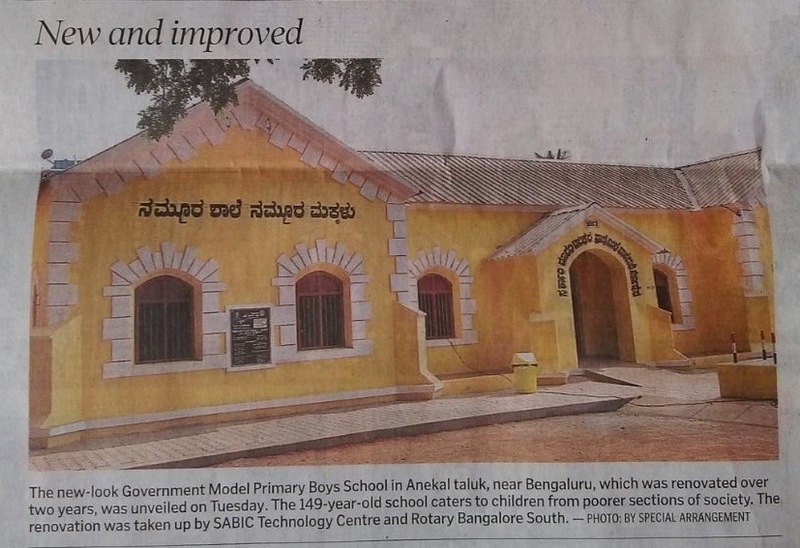 Rotary Bangalore South with CSR Partner SABIC, Restored Dilapidated Governement School at Sompura Village, Anekal Taluk on 29th August 2017. Applications for the scholarship for the year 2017-18 is closed, mail sent to selected students to appear for the interview. Board of Directors for the year 2017-18 presented plan of Action for the year 2017-18. 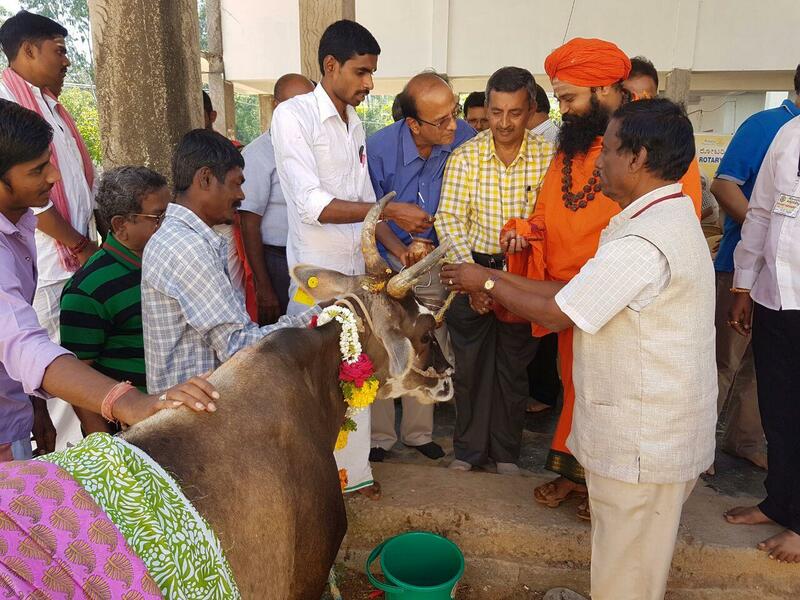 Donation of Cows-"Kamadhenu Khseerabhyudhaya project"
Rotary Banglore South donated 10 cows along with Rotary Club of Siddarabetta to the farmers at Siddarabetta under MICRO FINANCE Scheme - "KSHEERABHYUDHAYA" on Sunday, 18th December 2016. 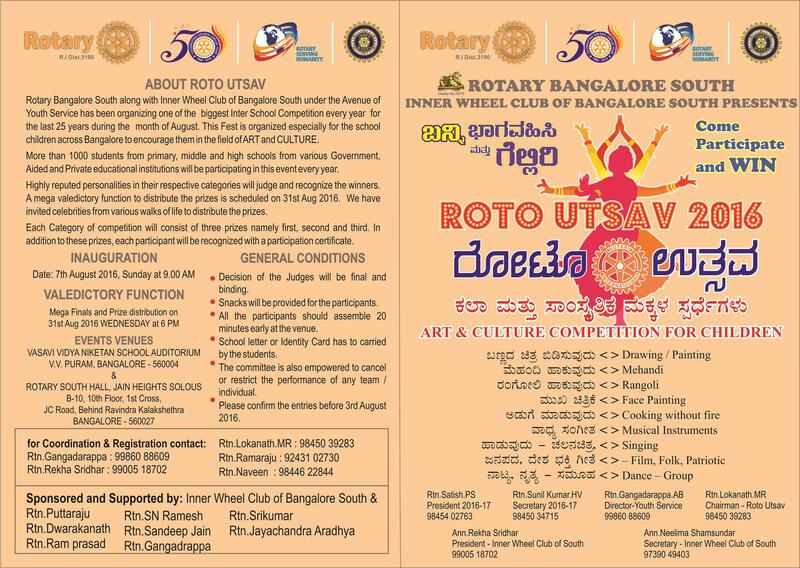 We thank our club Rotarians - Shivaram.M.R, Ramakrishna.S, Lakshmi Sreenath, Venugopal. 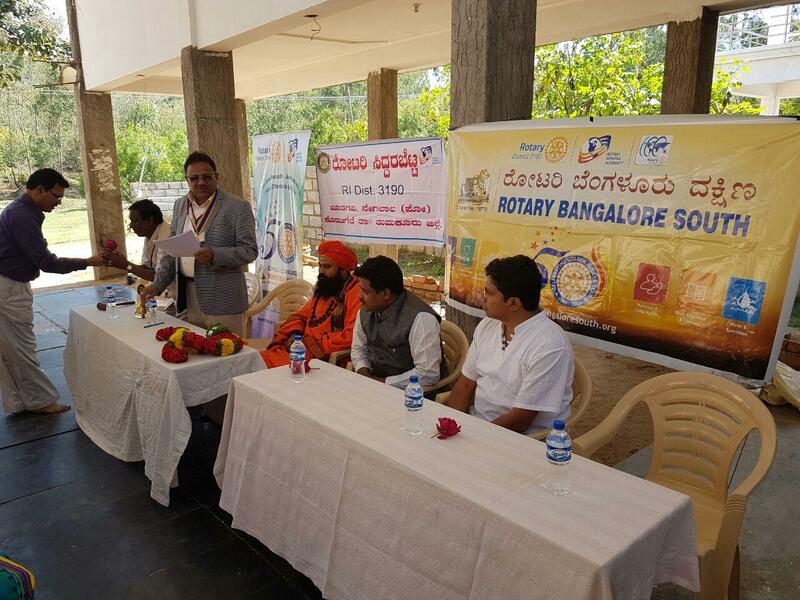 R, Rishi Mittal and Rotarians from Siddarabetta for their generous contributions to the Society, thus Serving Humanity! Click Here to view photos of the Scholarship Program. 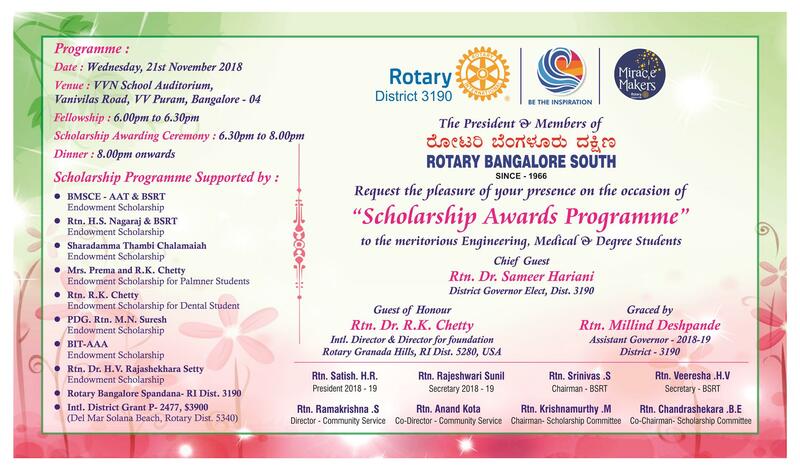 Scholarship Awardees:-Click the Below link for the list of students. 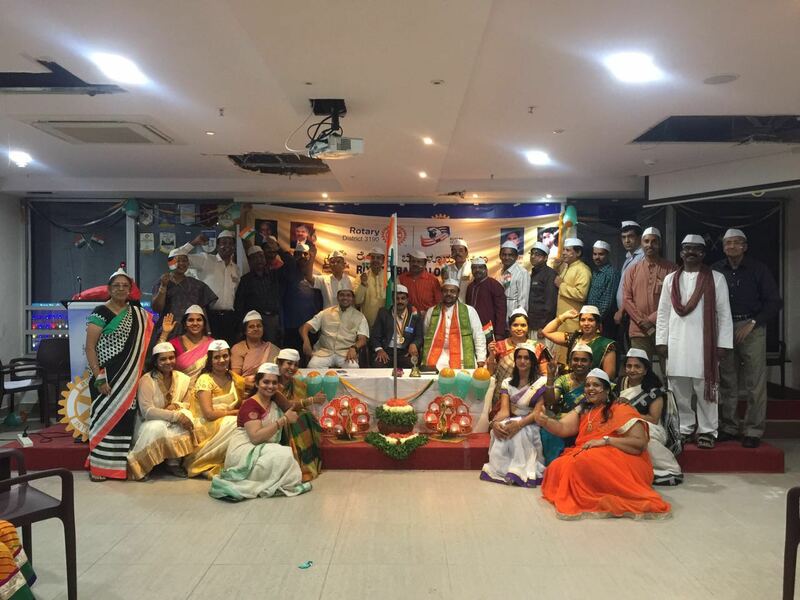 Rotary Bangalore South celebrated Independence Day during its weekly meeting. 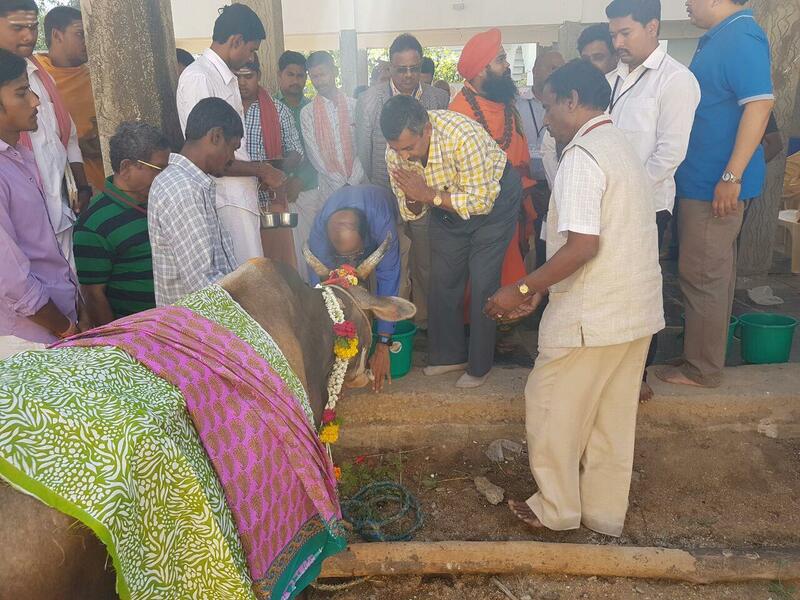 Anthakshari was organised to all its members and families by Rtn.Shamsundar and Ann. 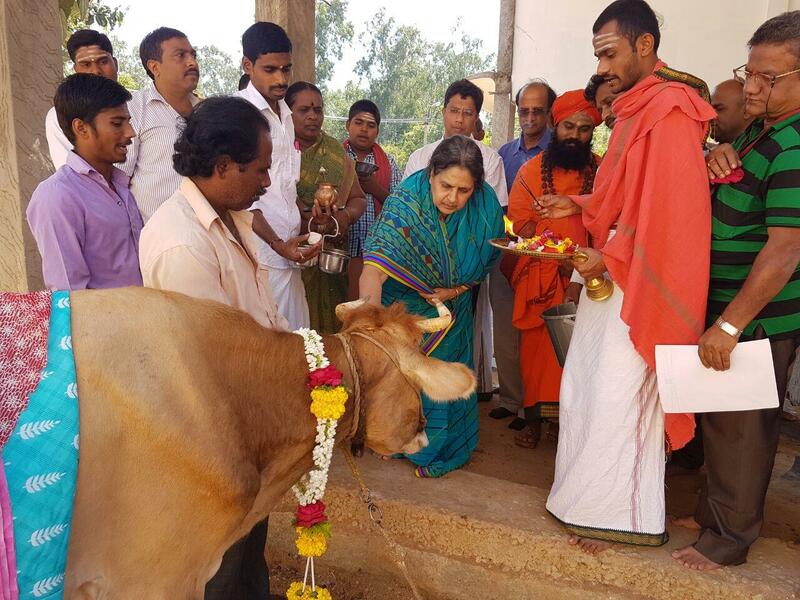 Neelima. The audience dressed up in ethnic attire matching the program. The hall was well decorated giving the perfect ambience for the evening. 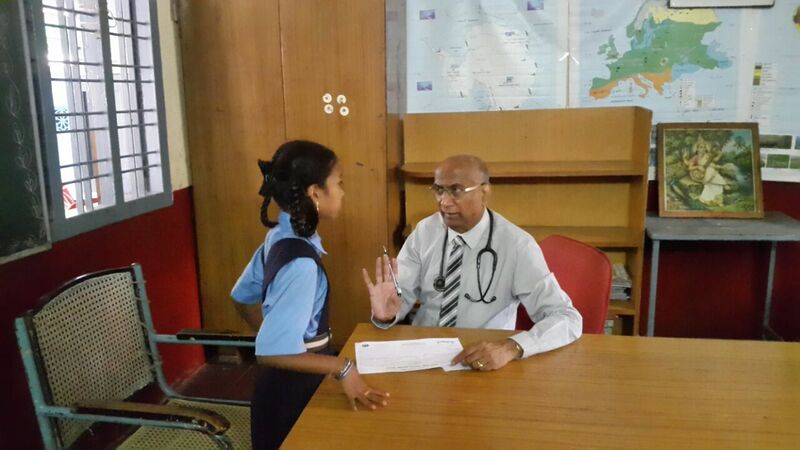 Free health Checkup Camp to 200 students of Govt. 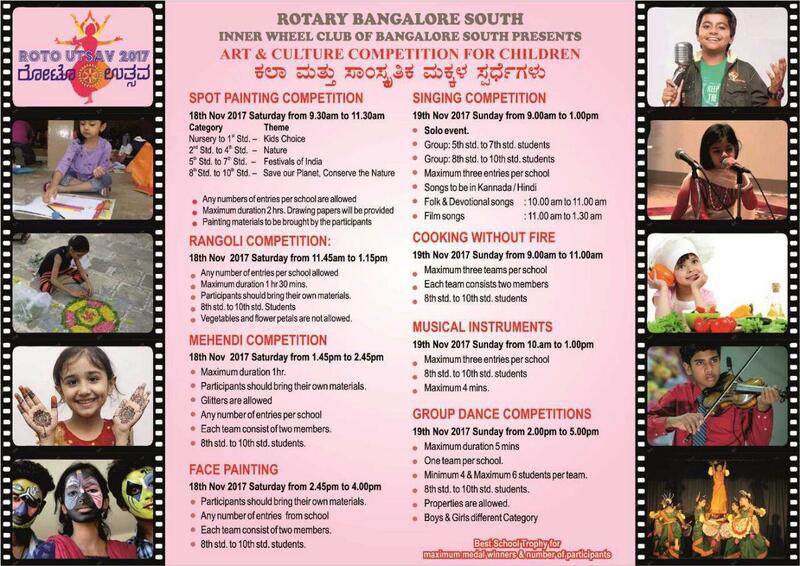 Kannada & Tamil Primary School, Vasanthnagar, Bangalore. 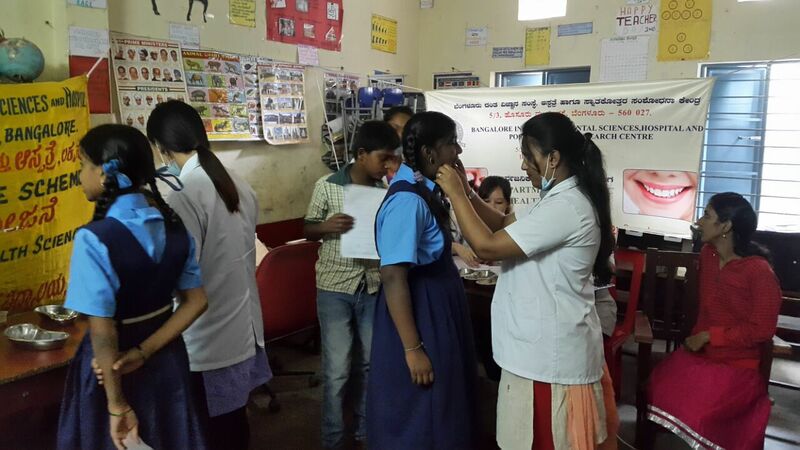 Rotary Bangalore South conducted free health Checkup Camp to 200 students of Govt. 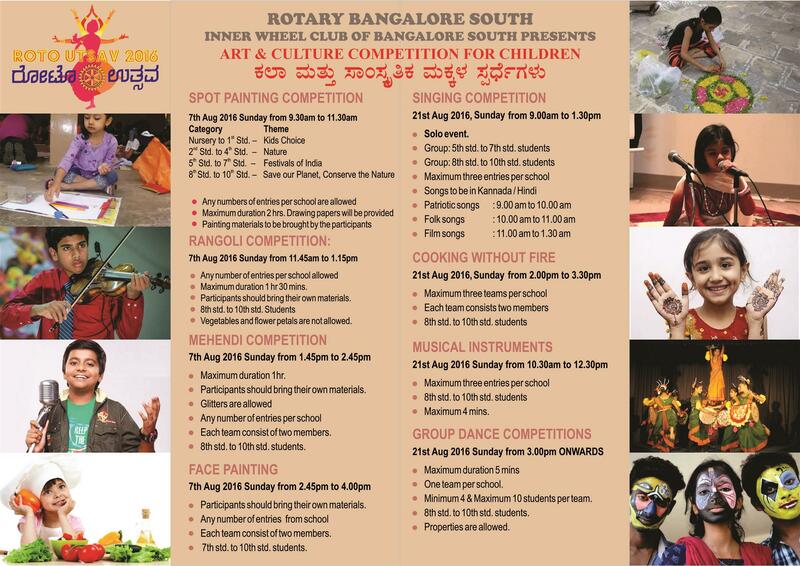 Kannada & Tamil Primary School, Vasanthnagar, Bangalore. 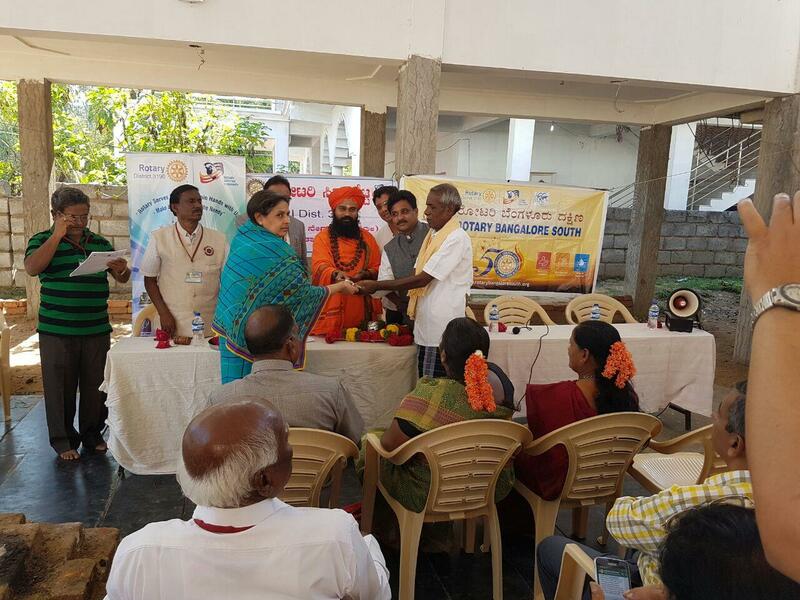 The camp was organised in association with Vasanthnagar Women's Welfare Association. 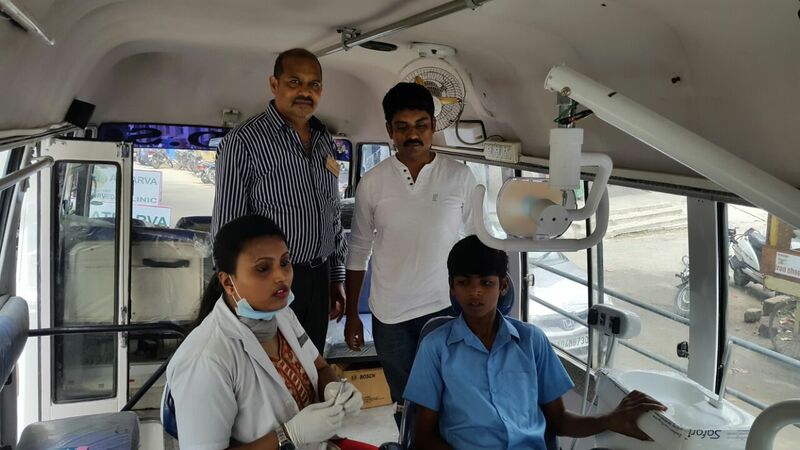 We thank Rtn.Dr.Rajasekhara Setty, Rtn.Dr.Anegundi, Rtn.Dr.Meera Srinivas, Rtn.Dr.Sreenivas and all the doctors from Rajiv Gandhi Institute for Dental Science and B.W.Lions Hospital for their help rendered in Dental Checkup and Eye Screenings. We are grateful to Rtn. Niranjan for providing Horlicks, Boost Sachets and Juice to all the students. The kids were also provided with Tooth Paste and Tooth Brushes.